Using our moral and technical imaginations to create responsible innovations: theory, method, and applications for value sensitive design. Implantable medical devices and human dignity. Private and secure access to information. Engineering projects that transform the Earth. Multigenerational information systems for international justice. How should designers, engineers, architects, policy makers, and others design such technology? Who should be involved and what values are implicated? 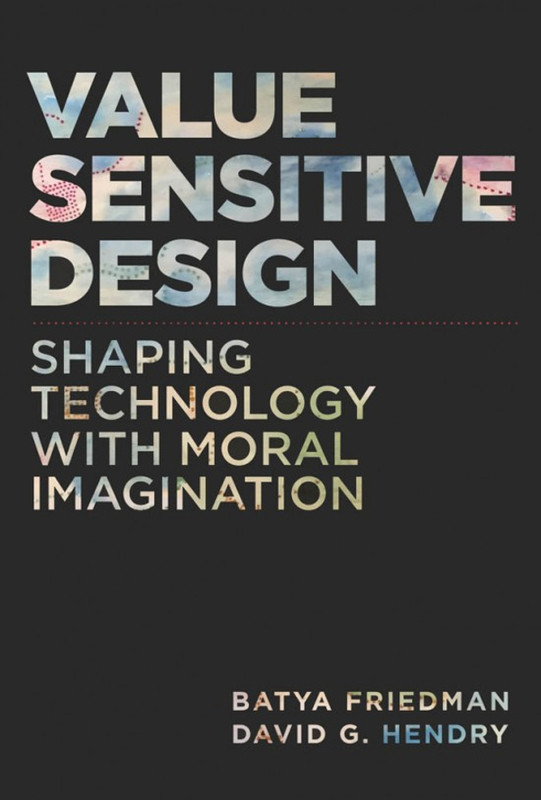 In Value Sensitive Design, Batya Friedman and David Hendry describe how both moral and technical imagination can be brought to bear on the design of technology. With value sensitive design, under development for more than two decades, Friedman and Hendry bring together theory, methods, and applications for a design process that engages human values at every stage. After presenting the theoretical foundations of value sensitive design, which lead to a deep rethinking of technical design, Friedman and Hendry explain seventeen methods, including stakeholder analysis, value scenarios, and multilifespan timelines. Following this, experts from ten application domains report on value sensitive design practice. Finally, Friedman and Hendry explore such open questions as the need for deeper investigation of indirect stakeholders and further method development. This definitive account of the state of the art in value sensitive design is an essential resource for designers and researchers working in academia and industry, students in design and computer science, and anyone working at the intersection of technology and society.